Hertfordshire lies to the immediate north of the London metropolis and borders Buckinghamshire, Bedfordshire, Cambridgeshire and Essex. Hertfordshire is home to gently rolling beautiful countryside as well as elegant towns including St. Albans, Bishop’s Stortford and Tring with a diverse selection of venues with private dining rooms available to hire for events. 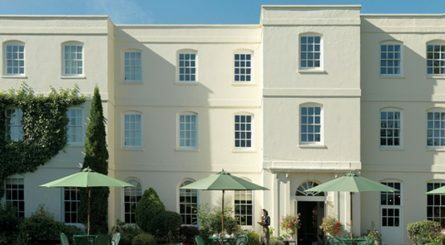 Sopwell House near St. Albans has nineteen private dining suites able to seat between 10 to 320 guests.